On the last day of the PokerStars Caribbean Adventure (PCA) $100k Super High Roller event, Sam Greenwood, one of the top players of NL Hold’em poker tournaments in the world, made things very difficult for his opponents and eventually went on to take down the event and win a whopping $1,775,460 for his success. There were a lot of top high stake poker players present at the PCA as many of them had travelled to the Bahamas to participate in the inaugural $25,000 PokerStars Players No Limit Hold’em Championship (PSPC) which concluded last week in the Bahamas. The high stakes poker action continued with the PCA and one of the highlights was the $100k PCA Super High Roller. The competition and pressure was intense as one can expect at a high stakes poker tournament that has a buy-in of $100,000. Some of the top poker pros who made it to the final table included Brit Stephen Chidwick, German Steffen Sontheimer and Russian Igor Kurganov. However, Greenwood had a great run at the table showing immense composure and patience. UK poker pro Talal Shakerchi was eliminated in fifth place and took $485,300 while American Chris Hunichen went out in fourth place and received $627,340 for his efforts. The final three players at the table were Spaniard Jesus Cortes, Greenwood and Danish poker pro Henrik Hecklen. All three players were assured of a million dollar payout and it was Cortes who was the first to be eliminated. He took home $1,284,260 for his third place finish. Hecklen did his best to push for a first place finish but ended up on the losing side and received $1,284,260. It wasn’t easy for Hecklen to beat Greenwood in the heads-up match as his chip stack was ten times larger than Hecklen’s. This is the Canadian poker pro’s sixth seven-figure payout in the course of his poker career and his second PokerStars $100k event win. His first PCA win was the one in Monte Carlo in 2018. He now has more than $14.6 million in overall prize money but knows that he can accomplish a lot more on the felt and boost his prize winnings. The first place finish was a big confidence booster for Greenwood as in recent years he has done well at high stakes events but not finished in first place. He recalled that he came in second at the $50,000 high stake events held in 2015 and 2016. While he did receive a nice payout for his second place finishes in Prague and Barcelona, he was eager to make his mark with a convincing win which he did at the 2019 PCA. 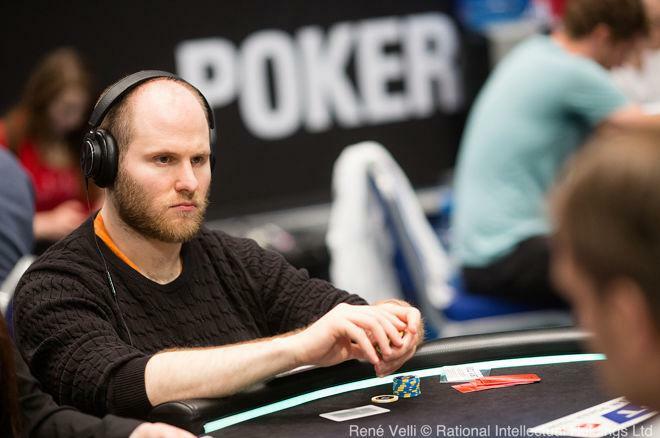 Greenwood wasted no time in registering for the PCA $50,000 Single Day High Roller event and thought he would be able to ride his good form into the event but things did not go his way. The event was won by Timothy Adams who made a heads-up deal with Stephen Chidwick who continued his good run at the PCA. This entry was posted on Tuesday, January 15th, 2019 at 8:50 am and is filed under Poker News. You can follow any responses to this entry through the RSS 2.0 feed. Responses are currently closed, but you can trackback from your own site.